Another idiot Steelers player opened his mouth again. What else is new? 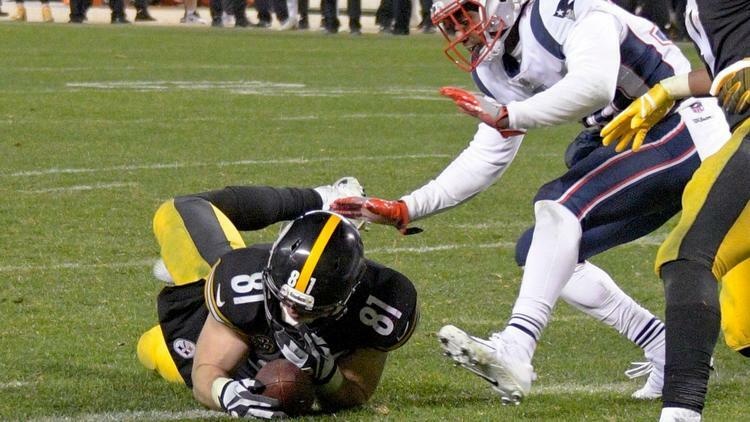 This time, it's Jesse James, who we all know dropped what would have been the game-winning touchdown in the waning seconds of the Patriots 27-24 win over the Steelers in December. That victory ultimately propelled New England to the No. 1 seed in the AFC and an appearance in Super Bowl LII, where they lost to the Philadelphia Eagles. Because the Patriots lost, James no longer feels like he was going to be the reason New England would win its sixth Super Bowl. Never mind the fact that the Steelers and Patriots both had a few regular season games to play after that one, so Pittsburgh still could have gotten the No. 1 seed. And not for nothing, but the Steelers lost to Jacksonville in the Divisional Round, so....yeah. It continues to amaze me how much the Patriots are in their heads.